What makes Vigo Bread Crumbs unique is that we make them ourselves. Over 5.4 million pounds of bakery breads are processed each year to make Golden Toasted (Plain), or Italian Style (Seasoned), Bread Crumbs. Our seasoned version has the addition of a traditional blend of spices from an old family recipe. 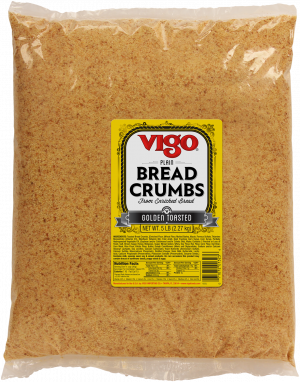 Vigo Bread Crumbs are the freshest, most flavorful bread crumbs available.